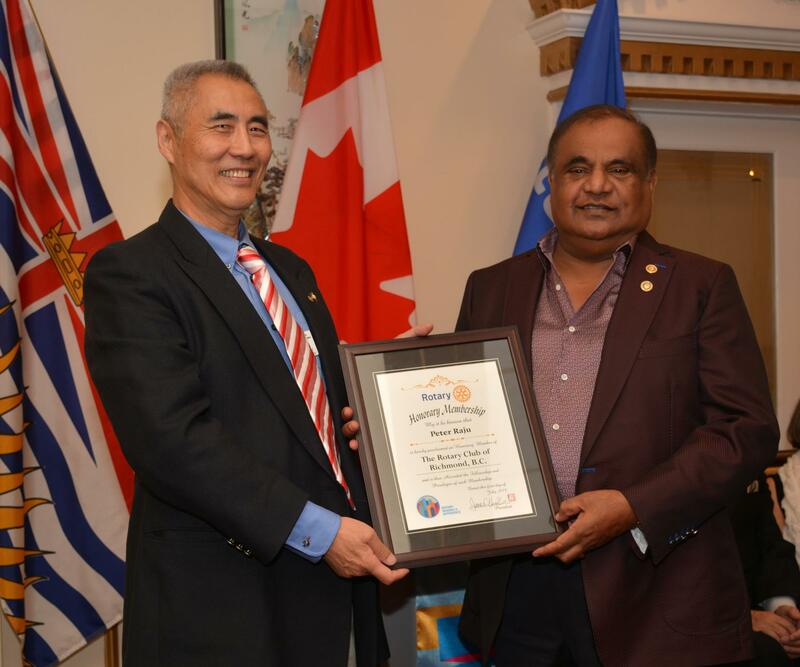 The 57th year of service of the Rotary Club of Richmond started auspiciously with recognizing two time Past President Peter Raju as an Honorary Member and a Paul Harris Fellow. He was joined by his family. 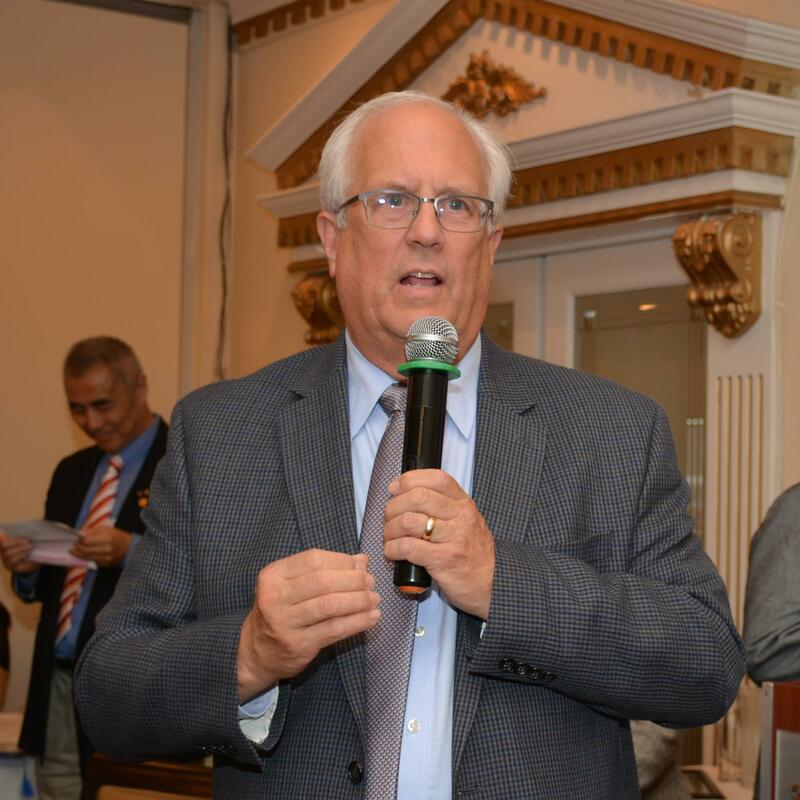 Peter was nominated by Harry Minci. 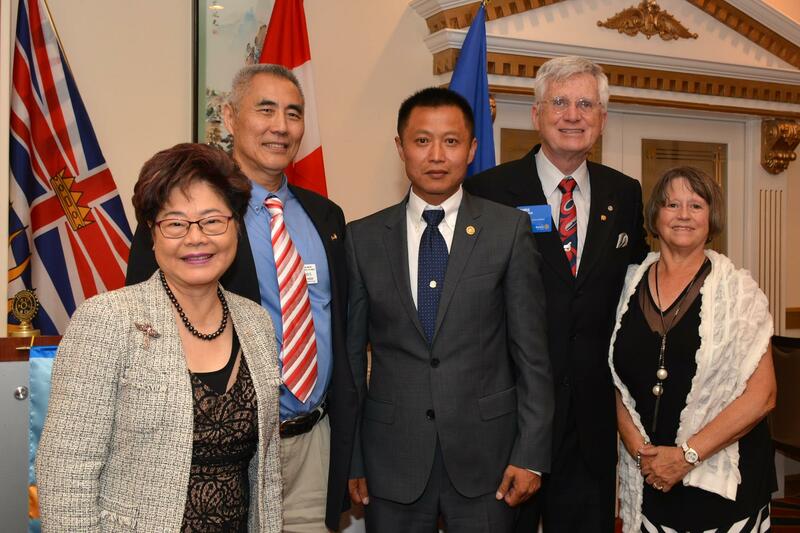 Past President James Hsieh, PDG Chris Offer, PDG Penny Offer, Mayor Malcolm Brodie, David Shum representing MLA Teresa Wat and MP Alice Wong provided welcoming addresses to a full room of nearly 60 attendees. 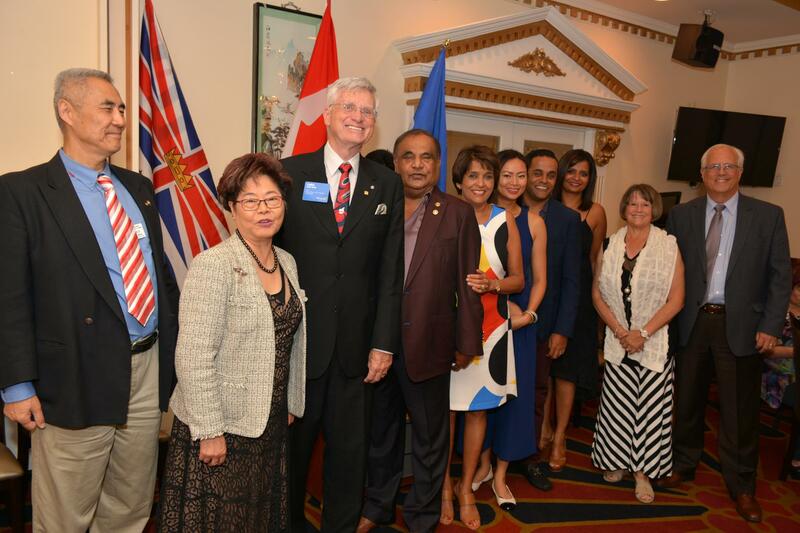 We are very appreciative of the attendance of the VIP's and thank them for their long time support of our Club and community service. 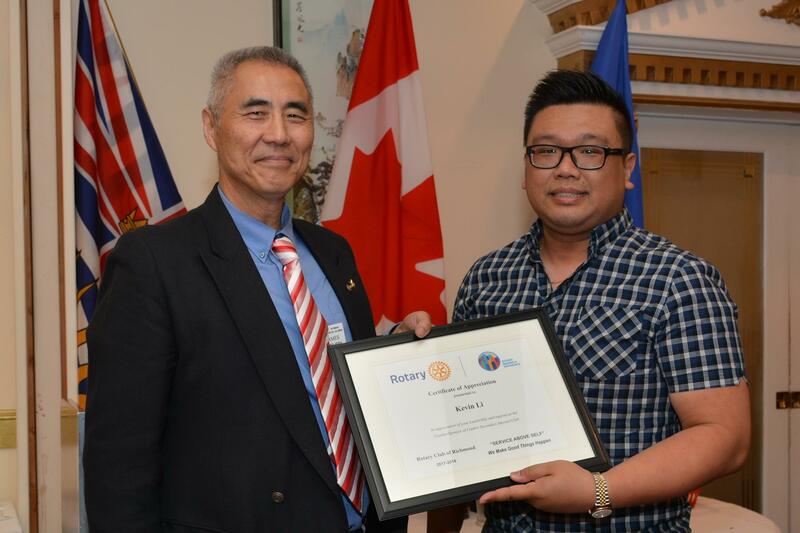 President James recognized Eric Wang, Past President of the Rotary Club of Richmond Sunset for his hard work. 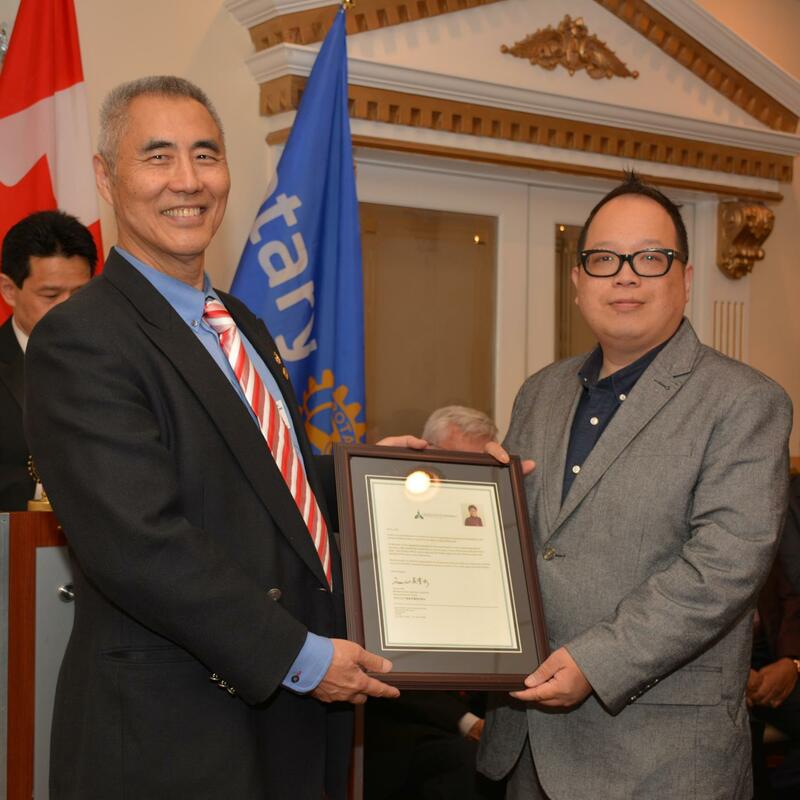 Eric was presented a Paul Harris Fellow by James and PDG Chris Offer. 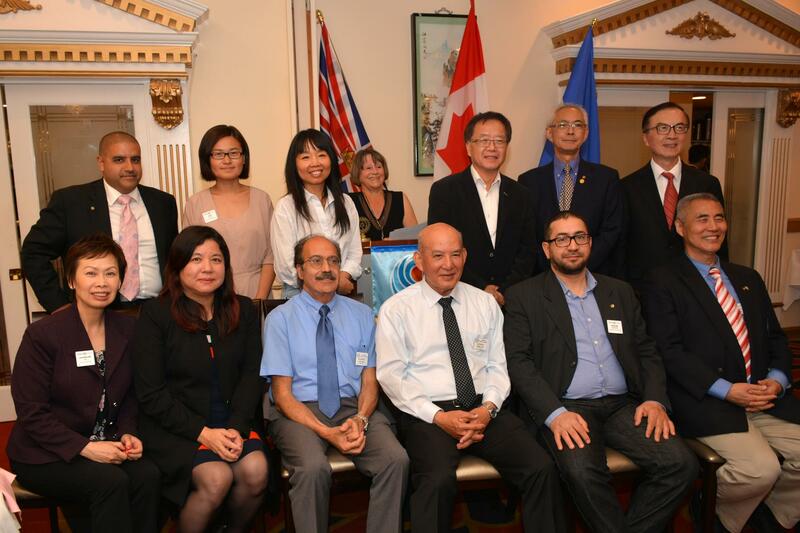 James thanked his Board one by one and presenting each a certificate of appreciation. 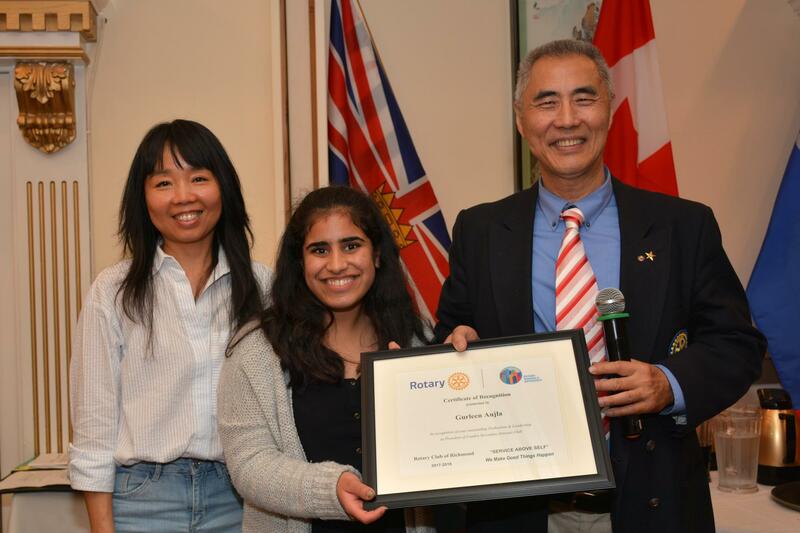 He also acknowledged the work of Gurleen Aujla, Interactor of Cambie Secondary and recognized their teacher sponsor Kevin Li. 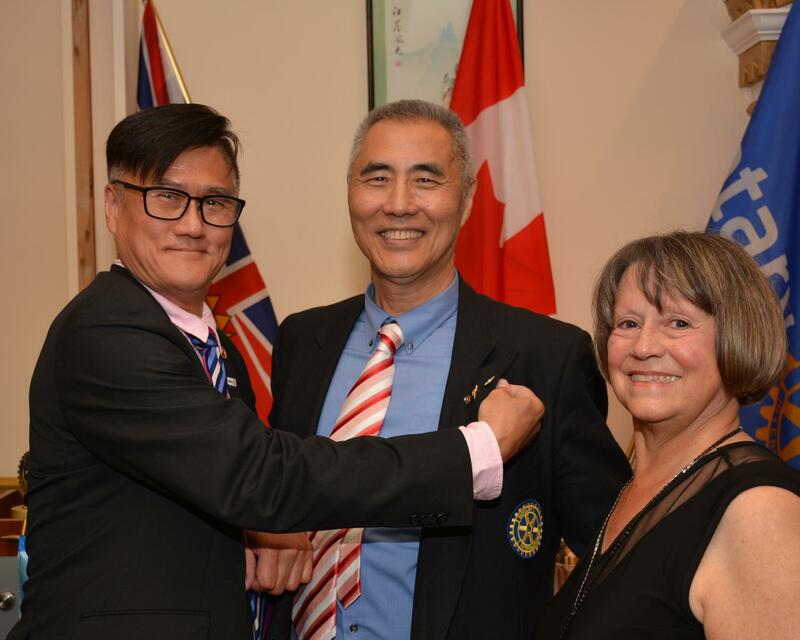 PDG Chris Offer inducted new member Jimmy Yan. 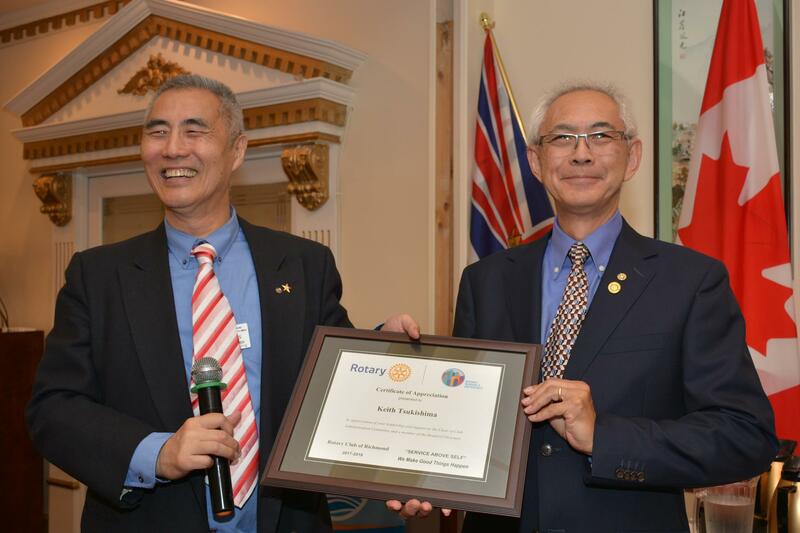 Jimmy became the "newest Rotarian in the world" according to Chris. 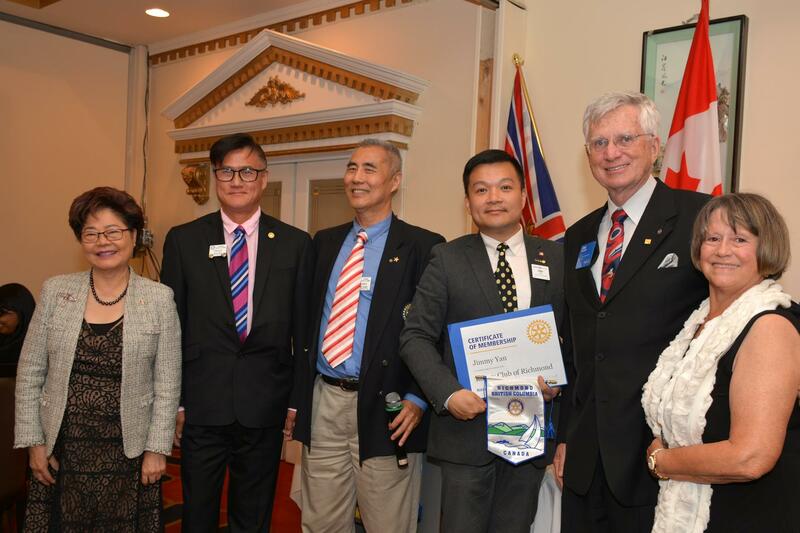 Jimmy adds a bit of youth and energy to the Rotary Club of Richmond, eager to "Make Good Things Happen" in the local and international community. 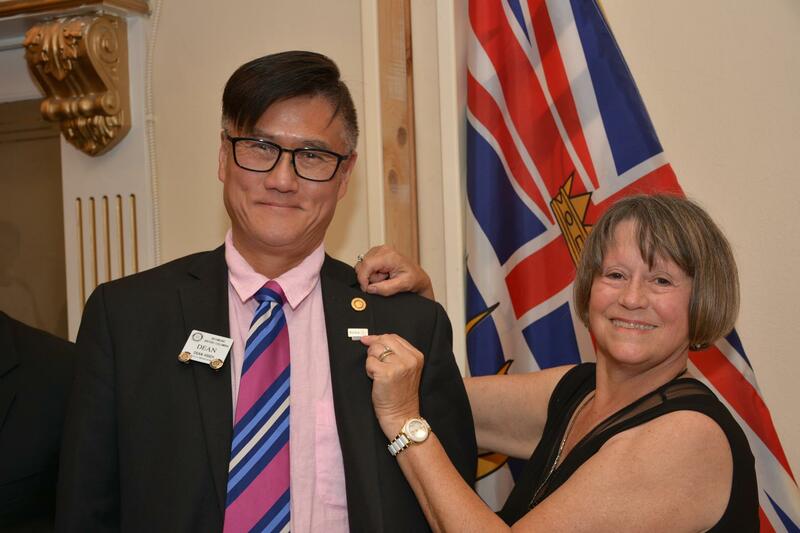 PDG Penny Offer then called Dean Hsieh and his Board of Directors to be sworn in for the year 2018-2019. 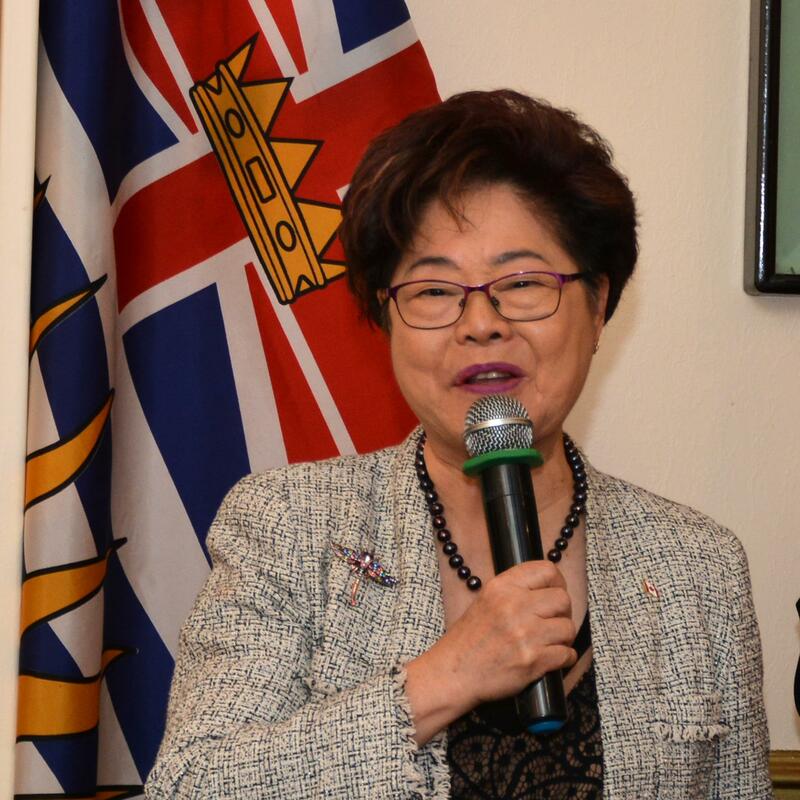 Dean Hsieh, will be the inspiration for the club in this year of RI President Barry Rassin and his theme "Be The Inspiration". 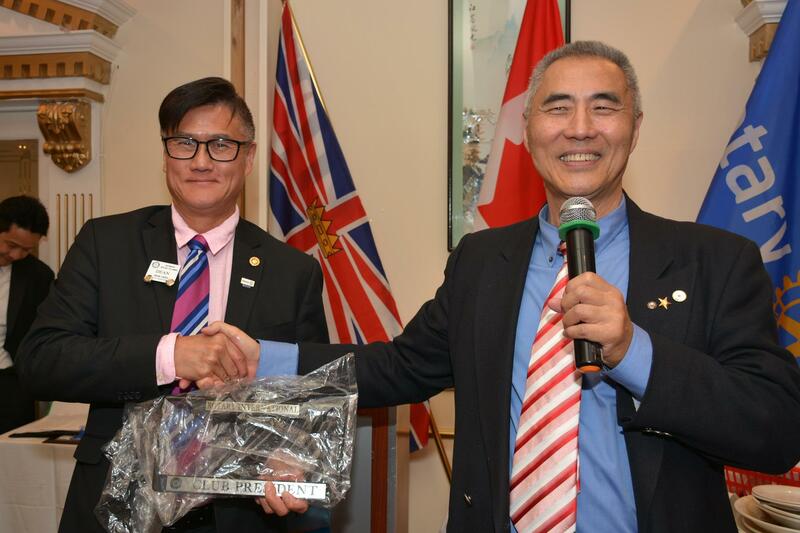 Now Past President James Hsieh was presented with a Paul Harris for his hard work, our club was awarded the highest membership growth percentage in the district. 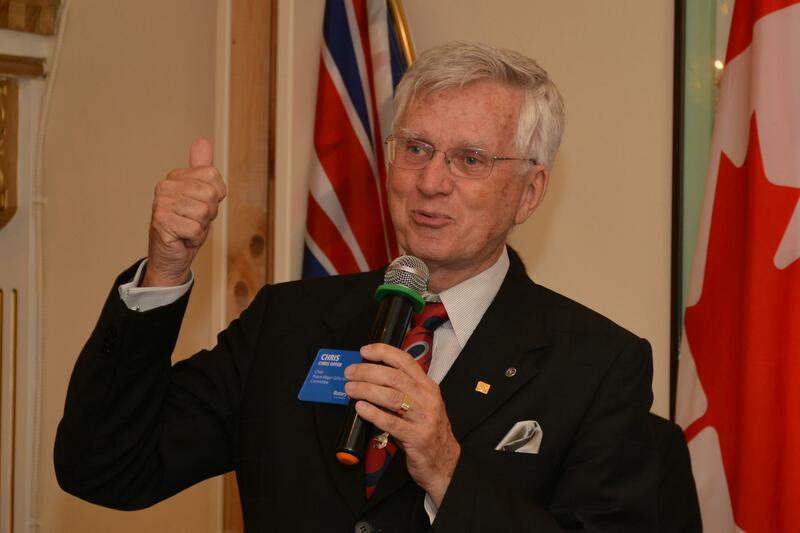 Thank you James.